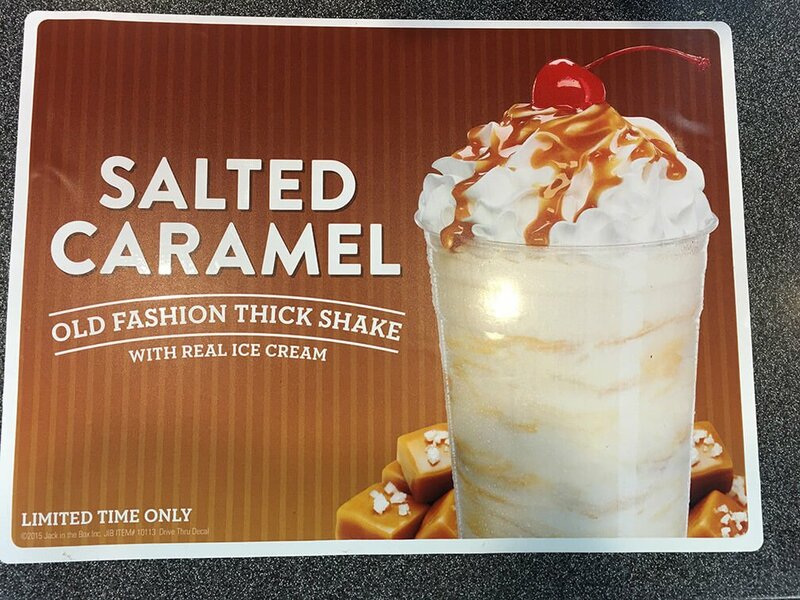 Here you will find all you need to know about the current Jack in the Box® menu with prices. Jack in the Box serves a wide variety of fast food favorites in a family friendly atmosphere or a quick drive-through pick up. With burgers, chicken, tacos, salads and plenty of sides to choose from, everyone will find something they like at Jack in the Box. There are also value meals for the kids and a decadent Chocolate Overload Cake for those that want to top off their meal with something sweet. Jack in the Box got its start with great burgers and there are lots of bold flavor combinations to choose from on the menu. Try the Spicy Sriracha if you are looking for some extra kick with your burger! Don’t miss out on the other options the menu has on offer. 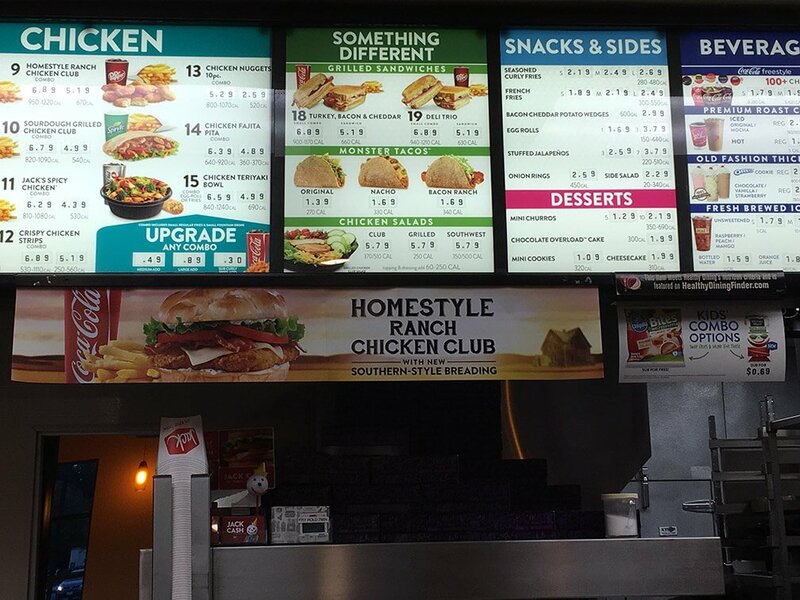 Fried and grilled chicken sandwiches, crisp chicken strips and nuggets are also customer favorites. For something new try a Chicken Teriyaki Bowl for a filling and tasty dinner. 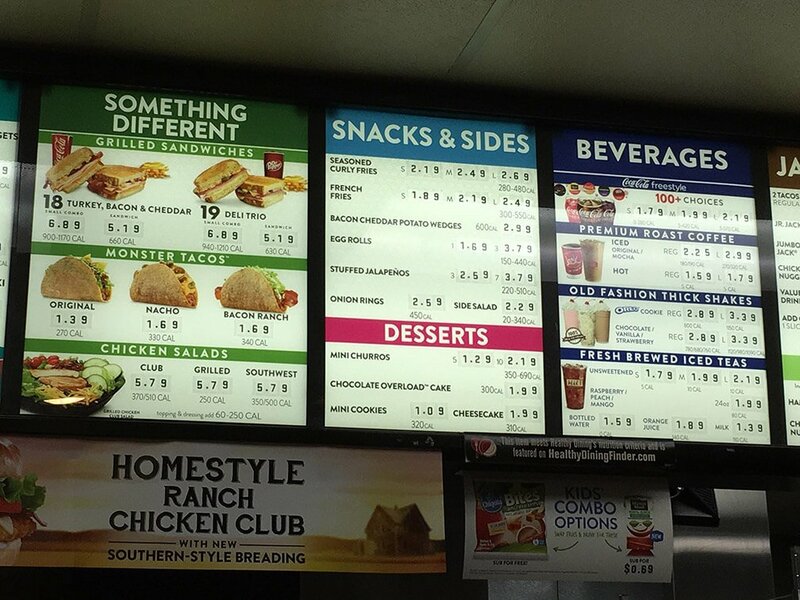 Jack in the Box also serves up tacos and salads if you are looking for something different. Among the many side dishes on offer, you may want to try the Bacon Cheddar Potato Wedges if you are looking to be decadent. Kids combos are a great choice for smaller appetites and you can order apple bites with caramel sauce instead of the fries. This tummy buster starts with a jumbo sized beef patty topped with two slices of American cheese, crisp lettuce, tomato, pickles and fresh onions. It comes with ketchup and mayonnaise in a combo meal for $5.19. This ¼ burger is grilled to perfection and finished with a garlic and herb butter sauce, then topped with Swiss cheese, crispy bacon and a creamy bacon mayonnaise. It is served on Jack in the Box’s signature bun. Have it with seasoned curly fries and a drink for $6.59. This sandwich is packed with your favorite flavors. Tender chicken grilled to perfection and then topped with bacon, Swiss cheese, lettuce tomato and mayo. Then it is toasted crisp between two slices of sourdough bread for that extra crunch and flavor. You may want to skip the combo and just get two of these tasty sammies at $4.99 each. The first Jack in the Box was opened by founder Robert O. Peterson in 1951 in San Diego, California. The restaurant served hamburgers for 18 cents each. There was a large clown style jack-in-the-box constructed above the restaurant to draw people in. In 1960 Jack in the Box expanded to Phoenix, Arizona and by 1963 it had restaurants in Houston and Dallas, Texas. The parent company, Foodmaker Co. was bought out by Ralston Purina Co. in 1968 and over the next decade Jack in the Box expanded to over 1,000 restaurants. In 1985, investors including many from Foodmaker Co., acquired Foodmaker from Ralston Purina and went public. The iconic “Jack” the jack-in-the-box clown, has been used in several television advertising campaigns as well as premiums such as antenna toppers and Pez dispensers in the 1990’s. There are 2,200 restaurants in 21 states as of 2015. 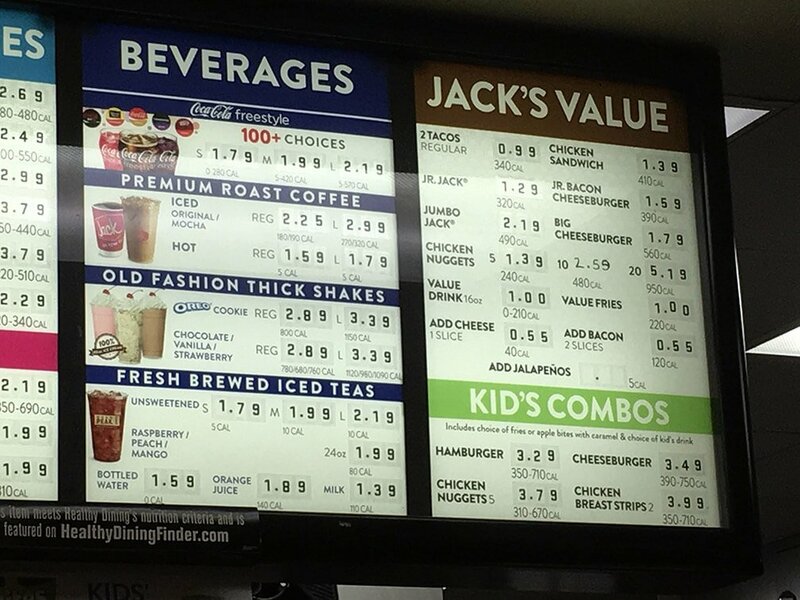 Jack in the Box menu prices are subject to change without prior notice. Prices shown in images & the following table should be seen as estimates, and you should always check with your restaurant before ordering. 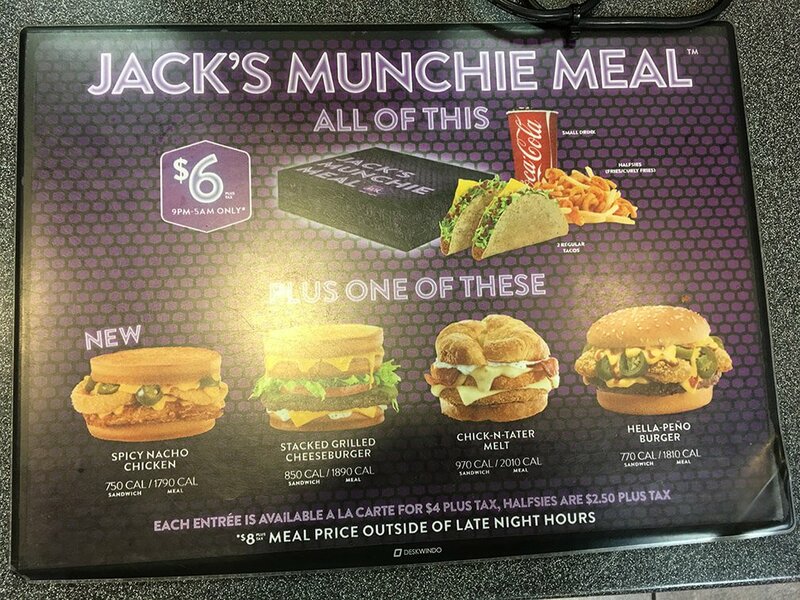 Jack in the Box menu images sourced via e-mail from restaurant customer & menu-price.net user. 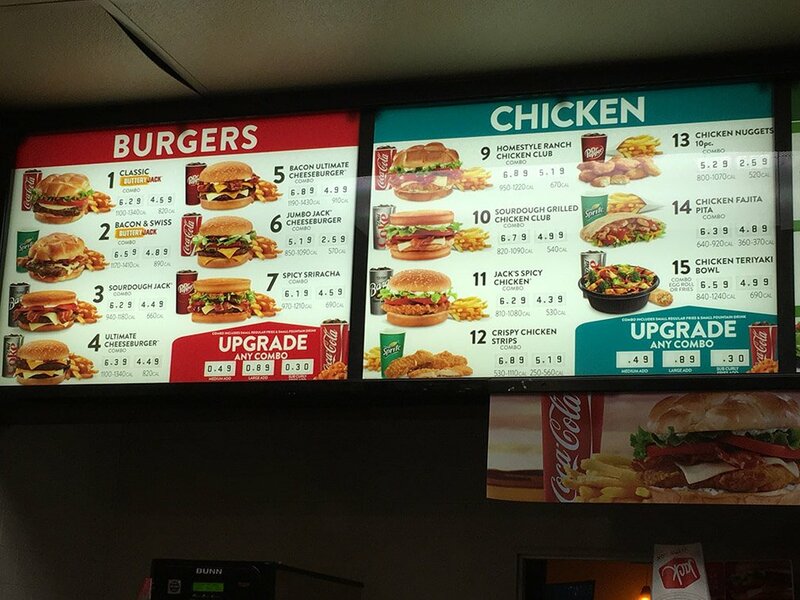 menu-price.net does not guarantee the pricing or availability of any menu items listed in image or table format on this page. Pricing may vary from location to location.